Happy Monday! Cheers to the new month of October and a new month full of opportunities and choices to make. How does everyone feel about the fact that we have 3 months of the year left and then we're going into the year 2016?! Crazy right! Although time is going by so fast we still have the choice to make ourselves happy, you can start at any moment and change your life. The better outlook you have on life, the more happier you'll be and the more you'll attract. But it all begins with you! If we realized that what we gave out in our lives is what we receive, we'd probably never be negative again. The more positive you are, the better you feel, and the better vibrations you attract to yourself. The amount of work is the same when it comes to thinking positive or thinking negative. Except for the fact that one of them gives you bad instances and the other gives you good. If it was that plain and simple I'm sure we'd all choose to go with the positive route. When you're put into a situation and you're faced with a dilemma, you have two choices. The situation can go two ways and it all depends on how well you react to it. You can make yourself happy and look for solutions and look for reasons as to why this has happened and what lessons can come from this or you can wallow in your self pity and continue to complain of the situation. However, complaining is only going to keep you at a stand still and won't take you very far. 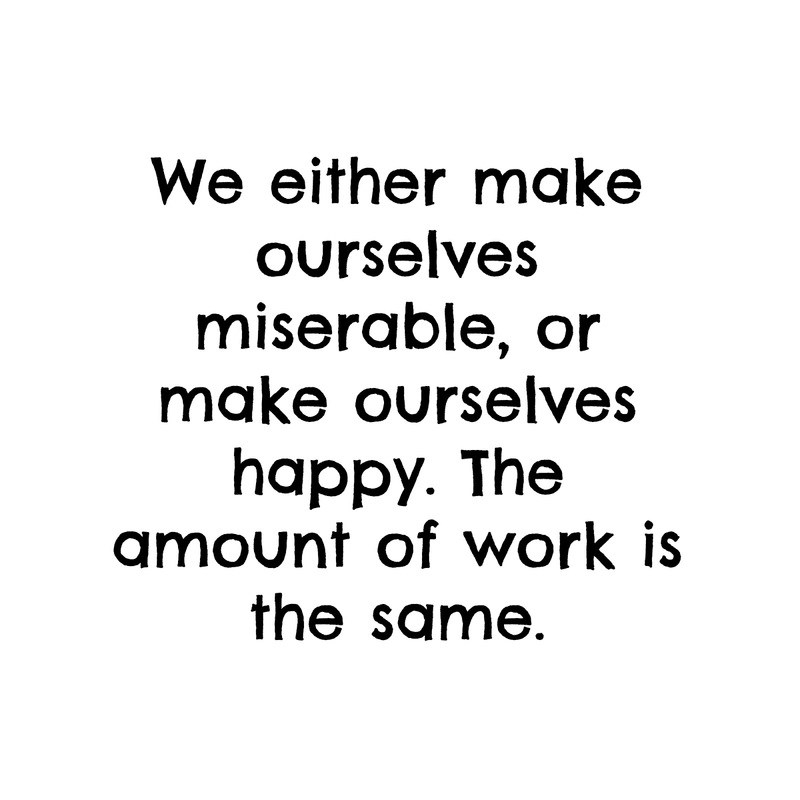 The choice is yours, make yourself miserable and think of all the bad things that have happened or, make yourself happy and think of the solutions. 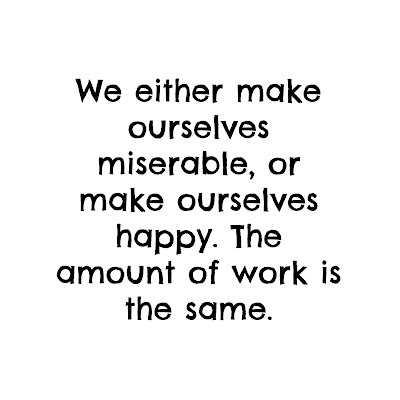 The amount of work is the same, so just make sure that your effort is going to a positive and fulfilling direction.